FunderNation GmbH, Talstraße 27E, 64625 Bensheim-Auerbach (hereinafter „FunderNation“) operates a platform (hereinafter the "SpaceStarters Website") at the URL www.spacestarters.com on which investors have the opportunity to participate in the economic success of various types of companies (hereinafter "issuers") by granting partial subordinated loans (hereinafter "investments") (hereinafter "investment") and the companies in turn have the opportunity to win investors for themselves. The protection and confidentiality of your data is of particular importance to FunderNation. Your data is collected and used exclusively within the framework of the applicable data protection law, in particular the provisions of the General Data Protection Rule (GDPR). This data protection declaration explains to you the type, scope and purpose of the processing of personal data (hereinafter referred to as "data") within our online offer and the associated websites, functions and contents as well as external online presences, e.g. our social media profile (hereinafter jointly referred to as "online offer"). With regard to the terms used, such as "processing" or "person responsible", we refer to the definitions in Art. 4 of the General Data Protection Rule (GDPR). You can access this information at any time at https://www.spacestarters.com/datenschutzerklaerung. Subject of data protection are personal data. According to Art. 4 No. 1 GDPR, this is all information relating to an identified or identifiable natural person; this includes, for example, names or identification numbers. These data are stored exclusively for technical reasons and are not assigned to a specific person at any time. The IP address is not stored. This data is required to set up and manage a user account for you and to enable you to use all the features of our website. Last but not least, we also need this data in order to be able to respond to possible inquiries from you. The registration is carried out in a so-called double opt-in procedure. This means that after registration you will receive an e-mail asking you to confirm your registration. This confirmation is necessary so that no one can log in with other e-mail addresses. The registrations are logged in order to be able to prove the registration process according to the legal requirements. and, if necessary, other data for the purpose of identifying you and handling the investments. We collect this data in order to be able to offer the investment, art. 6 par. 1 lit. b GDPR. If we process your data, as described above, for the purpose of providing the functions of our website or to offer you the desired investment, you are contractually obliged to provide us with this data. Without this information, we will not be able to provide you with these features or offer you the investment. This information is voluntary and not necessary to register on the SpaceStarters website. Please note that all data and photos voluntarily provided on your profile are accessible to other users. Therefore, you should carefully select what you put in your profile and thereby share it with other users. Users may be notified by e-mail of information relevant to their user account, such as technical changes. SpaceStarters offers you discussion forums or other interactive areas or services, including blogs, discussion forums, where you or third parties can create, post or store messages, comments, materials or other elements on the Websites ("Interactive Areas"). If you are using an interactive area, you must be aware that these areas may be publicly accessible and that any personal information you post or provide when you register may be visible to others. We cannot control how other users of our website use this information. In particular, we cannot prevent unsolicited messages from being sent to you. Content posted in community areas can be stored for an unlimited period of time. If at any time you wish to have any content removed, please send us an e-mail at the above address. We collect all data entered within the scope of the community functions in order to be able to make the community functions available to you as intended, Art. 6 Para. 1 lit. b GDPR. If we process your data as described above for the purpose of providing the community functions, you are contractually obliged to make this data available to us. Without this information, we will not be able to provide you with the appropriate community features. If you send us enquiries via our contact form or by e-mail or telephone or via social media, your details from the contact form including the contact data (name and e-mail address) provided by you there will be stored and used for processing the enquiry. User information can be stored in a customer relationship management system ("CRM system") or comparable system. We will delete the requests if they are no longer necessary, unless we are legally obliged to keep them for a longer period of time or the requests are needed longer to protect, enforce or defend legal claims. We review the necessity every two years. We collect this data in order to be able to accept and process your request, Art. 6 Para. 1 lit. b GDPR. If we process your data as described above for the purpose of receiving and processing your enquiries, you are contractually obliged to make this data available to us. Without this data we are not in a position to receive and process your enquiries. We process the data of our investors and interested parties (uniformly referred to as "investors") in accordance with Art. 6 para. 1 lit. b. GDPR to provide our contractual or pre-contractual services to them. The data processed here, the type, scope and purpose and the necessity of their processing are determined by the underlying order. In principle, this includes the investor's portfolio and master data (name, address, query of previous experience with comparable investment products, etc.) as well as contact data (e-mail address, telephone, etc. ), contract data (content of investment and pooling agreements, investment amounts, terms, information on issuers) and payment data (payment history, etc.). We may also process information about the characteristics and circumstances of persons or items belonging to them if this is part of our mandate (e.g. if you make investments of more than €1,000 per issuer on the SpaceStarters website). These can be, for example, information on personal living conditions, mobile or immovable property, as well as information on the asset status. To the extent required by law or for the fulfilment of the contract, we disclose or transmit investors' data to FunderNation Support UG as part of the conclusion and execution of contracts for the fulfilment of the obligations arising from the pooling agreement, the issuers of the asset investment brokered, the technical service providers named in this data protection declaration, as well as social insurance carriers, tax authorities, tax consultants, legal advisors, auditors and the Federal Financial Supervisory Authority (BaFin). We obtain the consent of customers if the disclosure/transmission requires the consent of customers (which may be the case, for example, in the case of special categories of data pursuant to Art. 9 GDPR). The data will be deleted after the expiry of statutory warranty and comparable obligations, whereby the necessity of storing the data is checked every three years; in all other respects, the statutory storage obligations apply. In the case of statutory archiving obligations, deletion shall take place after their expiry. According to German law in the insurance and financial sector in particular, consulting protocols for 5 years, brokerage notes for 7 years and broker contracts for 5 years as well as generally 6 years for documents relevant under commercial law and 10 years for documents relevant under tax law are required to be kept. If you have made an investment within the scope of our online offer, your data is required for the purposes of the concluded contracts and cannot be deleted as long as the investment has not been fully repaid. We process data within the framework of administrative tasks as well as the organization of our company, financial accounting and compliance with legal obligations, such as archiving. We process the same data that we process in the course of providing our contractual services. Processing is carried out on the basis of Art. 6 para. 1 lit. c. GDPR, Art. 6 para. 1 lit. f. GDPR. Investors, issuers, users, interested parties, business partners and visitors to our online offering are affected by the processing. The purpose and our interest in the processing lies in the administration, financial accounting, office organization, archiving of data, i.e. processes that serve to maintain our business activities, perform our tasks and provide our services. The deletion of the data with regard to contractual services and contractual communication corresponds to the information provided in these processing activities. If you provide us with contact data, we also store information on issuers, suppliers, event organisers and other business partners on the basis of our business interests, e.g. for the purpose of making contact at a later date (Art. 6 para. 1 lit. f GDPR). We will store this company-related data until you ask us to delete it. We use external payment service providers through whose platforms the users and we can make payment transactions (e.g. Klarna (Sofort Überweisung) (https://www.klarna.com/de/datenschutz)). The data processed by the payment service providers includes inventory data such as name and address, bank data such as account numbers or credit card numbers, passwords, TANs and checksums as well as information relating to contracts, totals and recipients. This information is required to execute the transactions. However, the data entered will only be processed and stored by the payment service providers. This means that we do not receive any account or credit card related information, but only information with confirmation or negative information about the payment. The data may be transferred by the payment service providers to credit agencies. The purpose of this transmission is to verify identity and creditworthiness. For this we refer to the terms and conditions and data protection information of the payment service providers. For payment transactions, the terms and conditions and the data protection information of the respective payment service providers, which can be accessed within the respective websites or transaction applications, apply. We refer to these also for the purpose of further information and assertion of rights of revocation, information and other interested parties. External payment service providers are used within the framework of the fulfilment of contracts on the basis of Art. 6 para. 1 lit. b. GDPR. We will only send newsletters, e-mails and other electronic notifications containing advertising information (hereinafter "newsletters") with the consent of the recipients or a legal permission. If the contents of a newsletter are specifically described within the scope of a registration, they are decisive for the consent of the users. In addition, our newsletters contain information about our services and us. 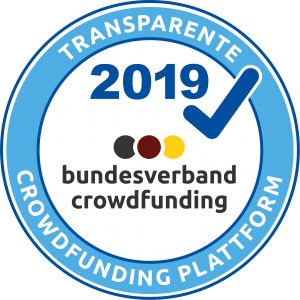 In particular, we inform about new and ongoing fundraising campaigns, the development of financed companies, news at FunderNation and SpaceStarters and participation in surveys. To receive the newsletter via e-mail, you can check the box in the registration process and in the account settings of your user account. If you do not have a user account on our website, the registration for our newsletter takes place in a so-called double opt-in procedure. This means that after registration you will receive an e-mail asking you to confirm your registration. This confirmation is necessary so that no one can log in with other e-mail addresses. Subscriptions to the newsletter are logged in order to be able to prove the registration process in accordance with legal requirements. The changes to your data stored with the emailing service provider are also logged. To subscribe to the newsletter, simply enter your e-mail address. Optionally we ask you to indicate a name for the purpose of personal speech in the newsletter. The dispatch of the newsletter and the performance measurement associated with it are based on the recipient's consent pursuant to Art. 6 para. 1 lit. a, Art. 7 DSGVO in conjunction with § 7 para. 2 no. 3 UWG or on the basis of our legitimate interests in direct marketing pursuant to Art. 6 para. 1 lt. f. GDPR in conjunction with Section 7 para. 3 UWG. The registration procedure is recorded on the basis of our legitimate interests and the fact that the legitimate interests of the users do not outweigh, Art. 6 para. 1 lit. f DSGVO. We are interested in the use of a user-friendly and secure newsletter system that serves both our business interests and the expectations of users and also allows us to provide proof of consent. Unless otherwise stated in our data protection declaration, we process the data entered by users, provided that they communicate with us within the social networks and platforms, e.g. write articles on our websites or send us messages. "Cookies" are small files that are stored on the user's computer. Different data can be stored within the cookies. A cookie is primarily used to store information about a user (or the device on which the cookie is stored) during or after his or her visit to an online offer. We use temporary and permanent cookies, temporary cookies, or "session cookies" or "transient cookies", which are cookies that are deleted after a user leaves an online offer and closes his browser. In such a cookie, for example, the content of a shopping basket in an online shop or a login status can be stored. Permanent cookies, or "permanent" or "persistent", are cookies that remain stored even after the browser is closed. For example, the login status can be saved if users visit it after several days. Likewise, the interests of users used for range measurement or marketing purposes may be stored in such a cookie. Third-party cookies are cookies that are offered by other providers than the person responsible for operating the online offer. The exclusion of cookies can lead to functional restrictions of our online offer. We use Google Analytics to display the ads placed within Google's advertising services and its partners only to users who have also shown an interest in our online offer or who have certain characteristics (e.g. interests in certain topics or products that are determined by the web pages visited) that we transmit to Google (so-called "remarketing" or "Google Analytics Audiences"). With the help of remarketing audiences we would also like to ensure that our ads correspond to the potential interest of the users. Your data will be stored by Google Analytics for a period of 14 months. At the end of this period, the data will be deleted and only aggregated statistics will be kept. You can disable Google Analytics using a browser add-on if you do not want the website analysis. You can download it here: http://tools.google.com/dlpage/gaoptout?hl=de. Google Analytics is used on the basis of our legitimate interest in a demand-oriented design, statistical evaluation and efficient advertising of our website and the fact that your legitimate interests do not outweigh, Art. 6 Para. 1 letter f GDPR. Jetpack is used on the basis of our legitimate interest in a demand-oriented design, statistical evaluation and efficient advertising of our website and the fact that your legitimate interests do not outweigh, Art. 6 Para. 1 letter f GDPR. We use the online marketing process of Google LLC, 1600 Amphitheatre Parkway, Mountain View, CA 94043, USA, ("Google"), Google "AdWords" to place ads on the Google Advertising Network (e.g., in search results, in videos, on websites, etc.) so that they are displayed to users who have a presumed interest in the ads. This allows us to display ads for and within our online offer more specifically in order to present users only ads that potentially correspond to their interests. For example, if a user is shown ads for products in which he is interested in other online offers, this is referred to as "remarketing". For these purposes, when our and other websites on which the Google Advertising Network is active are accessed, Google directly executes a code from Google and (re)marketing tags (invisible graphics or code, also known as "web beacons") are integrated into the website. With their help, an individual cookie is stored on the user's device (comparable technologies can also be used instead of cookies). In this file it is noted which websites the user visits, which contents he is interested in and which offers the user has clicked on, technical information on the browser and operating system, referring websites, visiting time and further information on the use of the online offer. You can find further information on data use by Google, on setting and objection options in Google's data protection declaration (https://policies.google.com/technologies/ads) and in the settings for the display of advertisements by Google (https://adssettings.google.com/authenticated). Google AdWords is used on the basis of our legitimate interest in refinancing our investments for the operation of our website through advertising and the fact that your legitimate interests do not outweigh, Art. 6 Para. 1 lit. f GDPR. The Facebook pixel of the social network Facebook, which is operated by Facebook Inc, 1 Hacker Way, Menlo Park, CA 94025, USA, or, if you are based in the EU, Facebook Ireland Ltd, 4 Grand Canal Square, Grand Canal Harbour, Dublin 2, Ireland ("Facebook"), is used within our online offer. With the help of the Facebook pixel, Facebook is able to determine the visitors of our online offer as a target group for the presentation of ads (so-called "Facebook ads"). Accordingly, we use the Facebook pixel to display the Facebook ads we post only to Facebook users who have also shown an interest in our online offering or who have certain features (e.g. interests in certain topics or products that are determined by the websites visited) that we transmit to Facebook (so-called "custom audiences"). We also want to use the Facebook pixel to ensure that our Facebook ads meet the potential interest of users and are not a nuisance. The Facebook pixel also helps us understand the effectiveness of Facebook ads for statistical and market research purposes by showing whether users have been redirected to our site after clicking on a Facebook ad (so-called "conversion"). Facebook processes the data in accordance with Facebook's Data Usage Policy. Accordingly, the general instructions for displaying Facebook ads apply in Facebook's Data Usage Policy: https://www.facebook.com/privacy/explanation. For specific information and details about the Facebook pixel and how it works, please visit the Facebook Help section: https://www.facebook.com/business/help/651294705016616. The use of Facebook pixels is based on our legitimate interest in analysing, optimising and refinancing our investments for the operation of our website through advertising and the fact that your legitimate interests do not outweigh, Art. 6 Para. 1 letter f GDPR. The investments offered by our issuers can also be advertised and linked on other websites (so-called affiliate links). The operators of the respective websites receive a commission if users follow the affiliate links and then invest. In order to bill these commissions, we need to be able to track whether users who came to our website via an affiliate link subsequently make an investment via our online platform. To do this, we may use affiliate links or other technologies such as cookies to record whether an investment is due to the click of an affiliate link. The data stored here includes in particular the initial website (referrer), the time of the click and the investment, an online identification of the operator of the website on which the affiliate link was located, an online identification of the asset investment offered in each case, an online identification of the user, as well as tracking specific values such as e.g. advertising material ID, partner ID and categorisations. The online user IDs used by us are pseudonymous values. This means that the online identifiers themselves do not contain any personal data such as names or e-mail addresses. You only help us determine whether the same user who clicked on an affiliate link or was interested in an investment through our online offering has invested. However, the online identification is personal insofar as we have the online identification together with other user data. However, the commission is settled anonymously, i.e. without naming your person. The use of affiliate links is based on our legitimate interests in being able to correctly and completely account for the commissions of our partner companies and to meet our claims of our partners towards us as well as the fact that the legitimate interests of the users do not outweigh, Art. 6 Para. 1 lit. f GDPR. We process the job applicant data only for the purpose and in the context of the application procedure in accordance with the legal requirements. The processing of the applicant data takes place in order to fulfil our (pre)contractual obligations in the context of the application procedure within the meaning of Art. 6 para. 1 lit. b. GDPR or Art. 6 para. 1 lit. c. GDPR, if data processing becomes necessary for us, e.g. within the framework of legal procedures (in Germany, § 26 BDSG additionally applies). The job application procedure requires that applicants provide us with their data. If we offer an online form, the necessary applicant data are marked and otherwise result from the job descriptions. In principle, this includes personal data, postal and contact addresses and the documents belonging to the application, such as cover letter, curriculum vitae and certificates. In addition, applicants may voluntarily provide us with additional information. By submitting the application to us, applicants agree to the processing of their data for the purposes of the application procedure in accordance with the nature and scope set out in this data protection declaration. If made available, applicants can send us their applications via an online form on our website. The data is encrypted and transmitted to us according to the state of the art. Applicants can also send us their applications by e-mail. Please note, however, that e-mails are generally not sent in encrypted form and that the applicants themselves must ensure that they are encrypted. We cannot therefore accept any responsibility for the transmission of the application between the sender and reception on our server and therefore recommend that you use an online form. Instead of using the online application form and e-mail, applicants can still send us their application by post. We do not use automated processing processes to bring about a decision or profiling. The disclosure of this data is based on our legitimate interest in combating abuse, prosecuting criminal offences and securing, asserting and enforcing claims and that your rights and interests in the protection of your personal data do not outweigh Art. 6 para. 1 lit. f GDPR or on the basis of a legal obligation pursuant to Art. 6 para. 1 lit. c GDPR. For the provision of services, we are dependent on contractually affiliated external companies and external service providers ("contract processors"). In such cases, personal data is passed on to these contractors in order to enable them to process the data further. These contractors are carefully selected and regularly reviewed by us to ensure that your rights and freedoms are respected. The contractors may only use the data for the purposes specified by us and are also contractually obliged by us to treat your data exclusively in accordance with this data protection declaration and the German data protection laws. The transfer of data to contractors is based on Art. 28 para. 1 GDPR, alternatively on the basis of our legitimate interest in the economic and technical advantages associated with the use of specialized contract processors, and the fact that your rights and interests in the protection of your personal data do not outweigh Art. 6 para. 1 lit. f GDPR. We also process data in countries outside the European Economic Area („EEA“). In order to guarantee the protection of your personal rights also within the scope of these data transfers, we make use of the standard contractual clauses of the EU Commission pursuant to Art. 46 para. 2 lit. c GDPR when drafting contractual relationships with recipients in third countries. These are available at http://eur-lex.europa.eu/LexUriServ/LexUriServ.do?uri=OJ:L:2010:039:0005:0018:DE:PDF at any time, alternatively you can request these documents from us using the contact options below. In detail, this concerns our software developers. 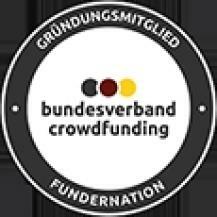 As our business develops, the structure of FunderNation GmbH may change by changing its legal form, founding, buying or selling subsidiaries, parts of companies or components. In such transactions, customer information is shared with the part of the company to be transferred. Whenever personal data is passed on to third parties to the extent described above, we ensure that this is done in accordance with this data protection declaration and the relevant data protection laws. Any disclosure of personal data is justified by the fact that we have a legitimate interest in adapting our form of business to the economic and legal circumstances as required and that your rights and interests in the protection of your personal data do not outweigh Art. 6 para. 1 lit. f GDPR. We delete or make your personal data anonymous as soon as they are no longer required for the purposes for which we have collected or used them in accordance with the above paragraphs. As a rule, we store your personal data for the duration of the usage or contractual relationship via the website, insofar as this data is not required for legal reasons or for criminal prosecution or to secure, assert or enforce legal claims for longer. If you delete your user account, your profile will be completely and permanently deleted. It is up to the users to save their data before the end of the contract if they have given notice of termination. We keep backup copies of data provided via our online platform for a period of 6 months, for all other data for a period of 24 hours, before they are finally deleted, unless this data is required longer for legal reasons or for criminal prosecution or to secure, assert or enforce legal claims. We keep e-mails outside ongoing business relationships during the regular statutory limitation period pursuant to § 195 BGB from the conclusion of the conversation. We keep e-mails on current business relationships during the current business relationship and then during the regular statutory period of limitation. In the event of legal disputes, we will also keep the e-mails until the legal dispute has finally ended. If data must be kept for legal reasons, it will be blocked. The data is then no longer available for further use. You have the right to revoke consents granted pursuant to Art. 7 para. 3 GDPR with effect for the future. The legality of the processing up to the revocation remains unaffected. You have the right to request information from us at any time about the personal data we have processed concerning you within the scope of Art. 15 GDPR. You can submit an application by post or e-mail to the above address. You have the right to request us to correct any personal data concerning you immediately if it is inaccurate. Please contact the above addresses. You have the right to request the deletion of your personal data under the conditions described in Art. 17 GDPR. These conditions provide in particular for a right of cancellation if the personal data are no longer necessary for the purposes for which they were collected or otherwise processed and in cases of unlawful processing, the existence of an objection or the existence of an obligation to cancel under Union law or the law of the Member State to which we are subject. With regard to the period of data storage, please refer to section 13 of this data protection declaration. To exercise your above right, please contact the above contact addresses. You have the right to request us to restrict processing in accordance with Art. 18 GDPR. This right exists in particular if the accuracy of the personal data between the user and us is disputed, for the duration which requires the verification of accuracy and in the event that the user requires limited processing in the case of an existing right to deletion instead of deletion; furthermore in the event that the data is no longer required for the purposes pursued by us but the user needs it for the assertion, exercise or defence of legal claims and if the successful exercise of a contradiction between us and the user is still controversial. To exercise your above right, please contact the above contact addresses. You have the right to receive from us the personal data concerning you that you have provided to us in a structured, current, machine-readable format in accordance with Art. 20 GDPR. To exercise your above right, please contact the above contact addresses. For reasons arising from your particular situation, you have the right to object at any time to the processing of personal data concerning you, which is carried out, inter alia, on the basis of Art. 6 para. 1 lit. e or f GDPR, in accordance with Art. 21 GDPR. We will stop the processing of your personal data unless we can prove compelling reasons for the processing that outweigh your interests, rights and freedoms, or the processing serves to assert, exercise or defend legal claims. The current version of this data protection declaration is always available at https://www.SpaceStarters.com/datenschutzerklaerung.